This past weekend I finally got to spend a couple of days at Snowbird this season! And man did I pick the right days to do it. The snow conditions on Monday were ideal and aside from the flat light/fog and super wet snow falling all day Sunday, that day was fun too. I found fresh snow everywhere I turned and the stuff in the woods lasted all day due to low crowds at the time. The trip started out at Solitude on Friday, primarily since I only had two days left at Alta/Snowbird on my pass and because I needed to activate my pass there for free use of the ski bus. For this trip, I went a different route for transportation - foregoing a car rental for the duration. With the Ikon pass, the “ski bus” (normally $4.50 per trip - $9 round trip) is completely free and so skipping a rental car would definitely be a big cost saver there. It was about a ten minute walk from the airbnb to the bus stop and then sub 30 minutes to get dropped off directly at the lift at Snowbird. Without a car, I ended up needing to take an uber xl to the airport (for my skiis) but otherwise it worked out pretty well. The bus was super convenient and ran mostly on time both days. There were three absolute favorite parts of the mountain that I had found yesterday at Snowbird. One, was the hike up to Mount Baldy from the top of the Tram. I did this hike three times in a row thanks to super untracked snow for nearly the whole runs with not too difficult of a hike. 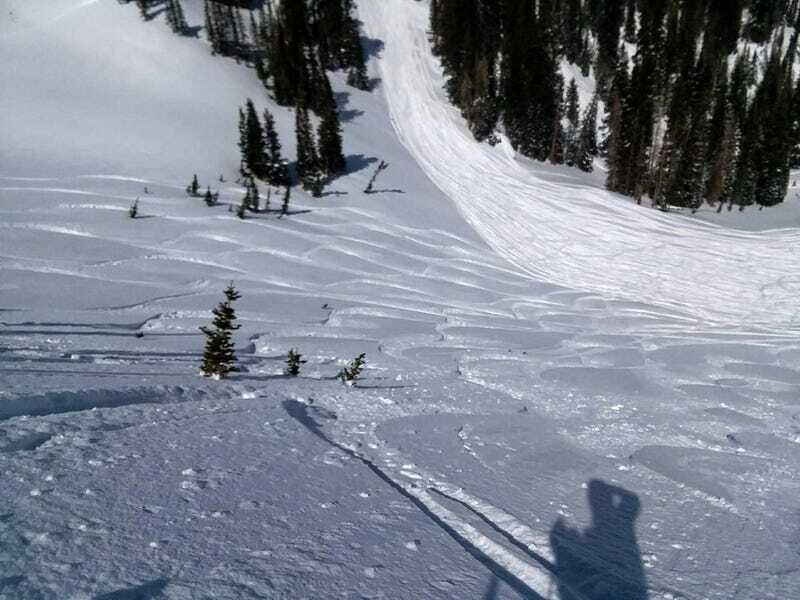 Second, was Road to Provo where the leading image shows the untracked pow there as well. And then third, Tiger Tail to Low Saddle opened midday on Monday and held endless amounts of untracked bliss in the trees. I was too tired to truly enjoy it but it really capped off my day well! I wasn’t expecting a mid-winter level of snow at the end of March in Utah but I was certainly pleasantly surprised. Solitude on Friday had more of the “spring crud” going on thanks to the warmer weather earlier in the week but the storm that rolled in Sat/Sun made up for it for sure. And then the sun coming out on Monday and the snow being set up just right just made for an amazing trip overall. I learned how much I really do love Snowbird and that it is an excellent mountain. Alta and Snowbird are both amazing in their own ways and I couldnt imagine a season without skiing both. Looking forward to crossing over 30 days soon at Mammoth! And hoping to still reach my goal of 40 days, although I am likely to come up short due to my availability in the coming couple of months. I will be happy just making it to 30 or so and just getting a couple of “summer skiing” days in for the lulz.